I love the story of the Bible. I love the raw, visual, imagery that God uses in the Old Testament to foreshadow how the glory of Jesus would be revealed in the New Testament. I love way the way the beginning of the Bible buzzes with the anticipation of a well-kept secret, hinting constantly about the greatest surprise in the history of creation: the coming of Jesus into the world. I love how, from beginning to end, the whole Bible reveals the glory of the Triune God bit by bit. I love the story of the Bible—and I want to help you love it too. 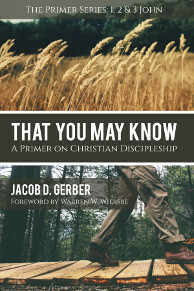 But the only way to learn how the Bible works—how every poem fits in, what purpose every law serves, what every person teaches us in the unfolding narrative of Scripture—is to read through the Bible bit by bit. Overviews and surveys of the Bible are helpful to get some kind of grasp of what’s happening, but it’s impossible to see the full scope of the Bible’s story without regularly reading through the whole Bible. The problem, though, is that reading the Bible can be very challenging. The names, customs, laws, genealogies, and styles of writing are not always very easy to understand right away. So, a lot of well-meaning Christians this year will make a resolution (perhaps for the umpteenth time) to read through the Bible, only to become discouraged and quit reading somewhere around the book of Leviticus. To help, I’ve written a short daily meditation (less than 500 words) that will help explain the context, meaning, and significance of every passage in the Bible, chapter by chapter. Using the M’Cheyne Bible Reading Plan, we’ll focus in 2015 on reading from Genesis through 2 Chronicles (roughly 1/3 of the Bible). Lord willing, we’ll get to the rest of the Bible over the following three years. And best of all—you can get this daily Bible Study for free! Just sign up below to receive these meditations daily through email. You will also be able to receive the meditations through podcast if that’s your thing, and I’ll include more instructions on how to subscribe to the podcast too. 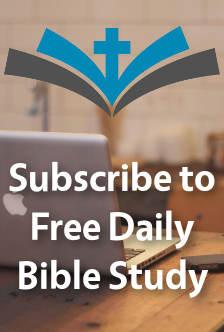 But for now, sign up to start receiving the Free Daily Bible Study by email, beginning on January 1, 2015.